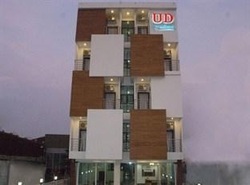 Located directly opposite the main entrance to the Nutty Park Entertainment complex, and a short walk from the bus station, railway station and night market, the UD Residence hotel benefits from a fabulous location, off the main road and away from the noise of the passing traffic. UD Residence is also just a 7-8 minute walk from the Day & Night entertainment complex, and in the heart of the massage parlours. What it lacks in modern looking features, it more than makes up for with its location and security. 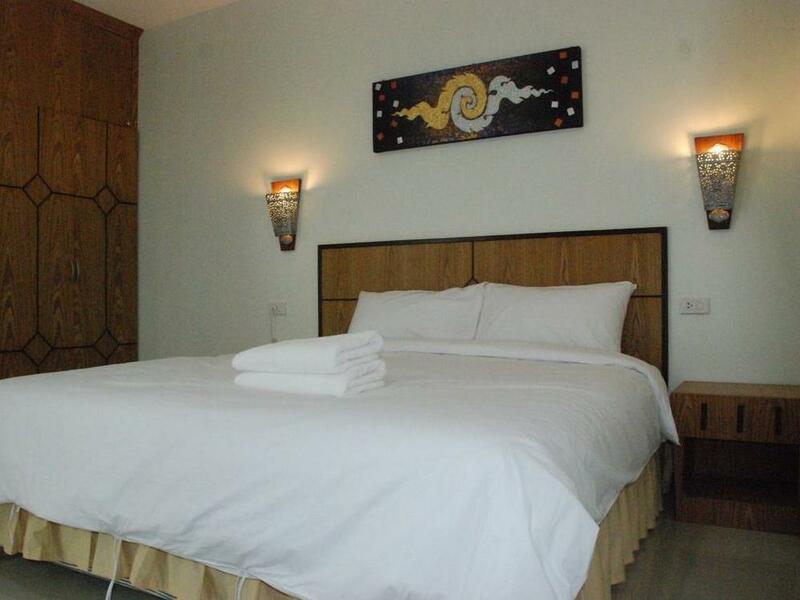 Rooms cost from about 650 baht per night. Internet - Wireless internet on site. Parking - Parking is available. Having decided to try out more hotels than just reverting back to "At Home At Udon", so the next in line and closest to the Nutty park entertainment complex is Udon Residence. Set back from the main road that heads down to the Night Market and railway station, the Udon Residence is a tall but not particularly attractive building, not that it matters once your are inside of course. I asked for a room with a double bed and have no idea if I got a standard, superior of even deluxe room, but if was to guess I would have said it was a standard room. It was clean, as was the bedding and towels and the wall-mounted flat screen TV was nice (40" I think) but there was a huge lack of English speaking channels so had to be content with watching the likes of Fox News for entertainment whilst confined to quarters before the evening ahead. The furniture was old style, and probably old in age too but it did the job for the one night I stayed there. Inside the wardrobe were 5 or 6 coat hangers, so ample enough to hang up the clutch of T-shirts I took. I did not see a safe in the room anywhere and the fridge was hard to get at, hidden behind a slatted door of another ancient piece of cobbled together furniture. I am not sure if the door was closed with a magnetic strip or was just too big for the hole but either way, it was not easy to open. The tiny table lamps next to the bed were a nice touch and not too bright, and each room has a small balcony outside should you need to have smoke. The balconies are not great as they all look across to another rooms balcony, so if you are hoping for total privacy whilst outside, you may not get it. Where the Udon Residence hotel scored big time for me was the curtains. Full length and thick, which blocked out the early morning light a treat. Indeed even at 9 am, the room was still very dark with the curtains closed. The only real let down in my opinion was that the shower and toilet areas were not divided, making a wet experience if you follow someone in the room who has just showered. The building is secure all night, with a large glass door and entry system in place, which also has a member of staff watching. If you do not have a key - you will not get in, once this door is in operation (from about 11 pm I think. I am not sure as I did not get back until 2.30 am!). Free Wi-Fi internet connections are provided throughout the building, which does not require a password. If you have a laptop or iPad, it is well worth taking with you to be able to watch the likes of YouTube etc. For the money, there is little to complain about, and the lift that took me to the 5th floor was especially pleasing. Without doubt, I will stay here again. Having been pleased enough with my stay at the UD Residence in Udon Thani quite recently, I chose to stay there once again. Again I ended up on the 5th floor (room 509) which is positioned right at the back end of the building. This offered more privacy on the balcony, although the balcony is very small and designed only as a place to stand and have a smoke. Inside the room was better then on my previous visit, with more modern furniture, indeed the wardrobe was fitted and looked much more pleasing to the eye. There were no bedside tables lamps in this room but a convenient light switch above the small bedside table. The remainder of the room was pretty much the same (possibly slightly larger), as was the toilet and shower room.